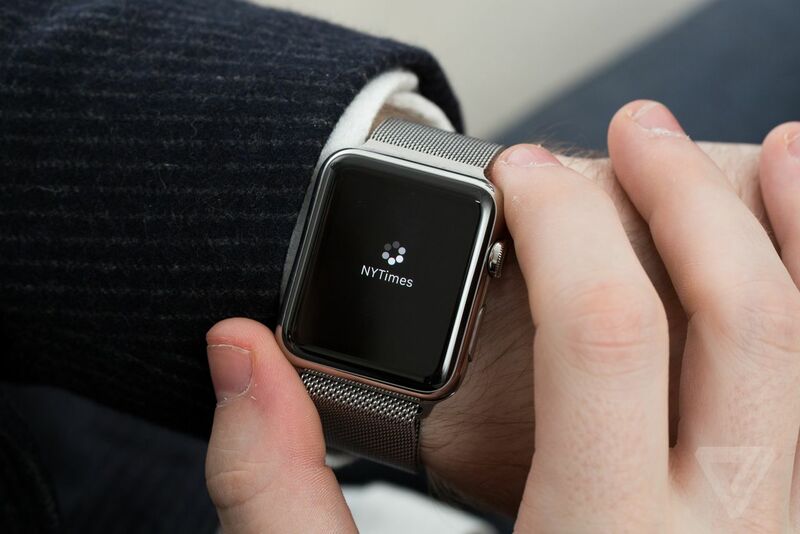 Here’s the problem with the Apple Watch: it’s slow. It was slow when it was first announced, it was slow when it came out, and it stayed slow when Watch OS 2.0 arrived. When I reviewed it last year, the slowness was so immediately annoying that I got on the phone with Apple to double check their performance expectations before making „it’s kind of slow“ the opening of the review. I was thinking about this in the context of two stories today: Intel abandoning their smartphone chips and Apple’s Tim Cook saying that eventually we’ll look back on the Watch as a huge hit like the iPod and iPhone. Intel built its entire business on our unquenchable thirst for power in the PC era — the company rode Moore’s Law to higher and higher levels of performance, and when the mobile revolution arrived and the industry and consumers reprioritized battery life and heat, Intel began faltering. Computers got fast enough — Apple’s new MacBook has a brand-new Core M processor in it, but it’s not fast. It’s just capable of doing all the things you might want it to do. And it’s great. Everyone I know who has one loves it. The same thing is true in a different way for smartphones and tablets: iPad sales have slowed because most of them are fast enough to run a bunch of video streaming services and the browser, and that’s what people use them for. Smartphones are ridiculously powerful; so much so that their upgrade cycle dramatically outpaces the ability of developers to actually make use of their features. I still haven’t seen a good use of 3D Touch on the iPhone 6S; I suspect we will never see anyone make use of LG’s Friends modules for the G5. We are surrounded by powerful, capable computers, and we use so little of their maximum capability. The only thing that even threatens to drive a major hardware cycle in the near future is VR, and we’ll see how long that lasts. But then I look at the Apple Watch and it’s so obviously underpowered. We can sit around and argue about whether speeds and feeds matter, but the grand ambition of the Apple Watch is to be a full-fledged computer on your wrist, and right now it’s a very slow computer. If Apple believes the Watch is indeed destined to become that computer, it needs to radically increase the raw power of the Watch’s processor, while maintaining its just-almost-acceptable battery life. And it needs to do that while all of the other computers around us keep getting faster themselves. It’s a hard road, but Apple is obviously uniquely suited to invest in ambitions that grand, with billions in the bank, a top-notch chip design unit, and the ability to focus on the long-term. Are smartwatches computers, or not? My hope is that Apple does more than just make the second generation watch faster/thinner/longer-lasting, and takes a step back and reconsiders some of the fundamental aspects to the conceptual design. Are smartwatches computers, or not? And if they’re computers, how fast do they have to be to be useful computers? The most interesting thing about the Apple Watch is how sharply it throws those questions into relief. Dieser Eintrag wurde veröffentlicht in Marketing und getaggt mit Apple, Apple Watch am 13. Mai 2016 von innovation.